I've been out of the simming game for a while now, but my passion has been renewed and I'd like to share my newest project with the community. I'm working on putting out Disney Princess Lookbook posts on my Tumblr now. 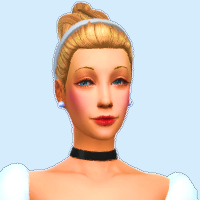 Each princess will be featured there (with edited pictures here) in her original form (or as close as sims 4 cc allows) and a more modern update, starting with Snow White and working all the way to Elsa/Anna. 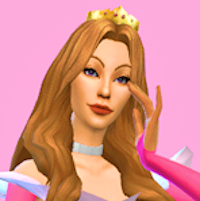 Later, I may give the princesses a little more screen time with some mini whims and sims challenges posted in the stories forum. Updates should be out every week or so (aiming for every four days). Snow White already fully qued up, next up is Cinderella (Ella Tremaine). I look forward to any comments you all have. 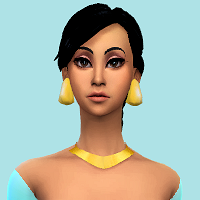 Also if you've created Disney Princess sims yourself I'd love to make this into a sort of Disney Princess modeling post so feel free to post away. Without further ado: the princesses. 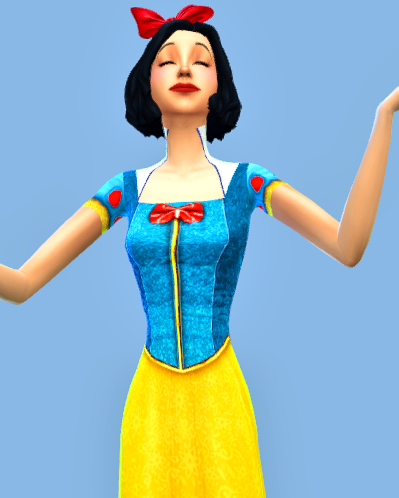 Here's Snow White in her classic outfit. Full CC list and bigger picture located on my Tumblr. Click here to see the a full body view and the CC list! I will post a full collage of Snow once all of her outfits have cycled through on Tumblr. 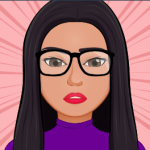 In the meantime please feel free to post your own Disney Princesses here. I'd love to see everyone else's Disney creations. If there is any interest in having Snow available to download please let me know, I would be happy to make it happen. Thanks for visiting! Here's the promised full selection of Snow and her outfits. Click here to see the a full lookbook! Thanks for viewing. 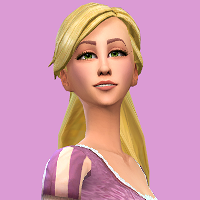 Please feel free to post your own Disney sims. I'd love to see what you all are creating! Love it!!! My favorite princesses are Jasmine Belle and Tiana can’t wait to see how you do them!! Are you planning on going in order? Thank you! My favorite as a kid was Ariel but Belle is definitely closer to my heart now. I do plan on doing them in order, so next will be Cinderella and Aurora. And the first Cinderella post is live! 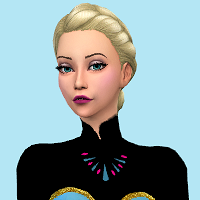 Click here to see the a full body view and the CC list! 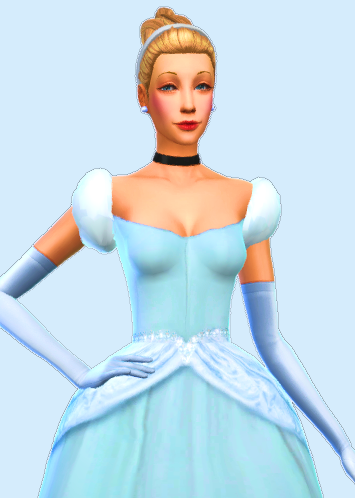 Cinderella in her classic formal outfit. Click here to see the a full body view and the CC list! 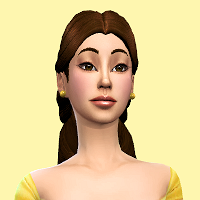 I entered a competition on the unofficial Sims 4 Facebook group to create Disney characters with a twist. 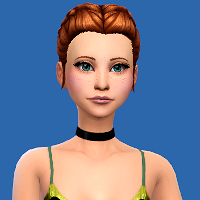 I created all original princesses plus ELsa and Anna but in a more modern style (no CC was allowed as part of the challenge). I love how my Snow White turned out, not such a fan of Aurora as I'm not too familiar with Sleeping Beauty, but some of them I really like! 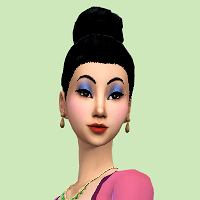 Your sims are gorgeous. I love your Snow White and your Pocahontas is really well done too. Ella's sportswear is up. 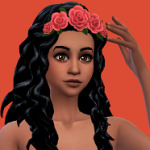 Click here to see the a full body view and the CC list! Ella's sleepwear is up. 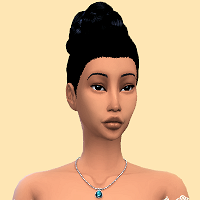 Click here to see the a full body view and the CC list! 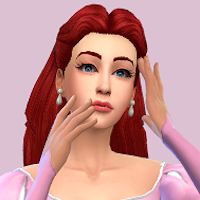 Ella's Party and Swim are now up, which means that Cinderella's looks are complete. See the full lookbook by clicking here. And the first Sleeping Beauty post is live! Click here to see the a full body view and the CC list! These are great. 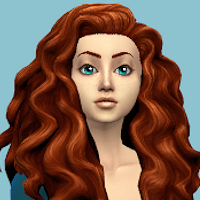 :D I have been making modern day disney characters too. Omg, your builds are amazing! 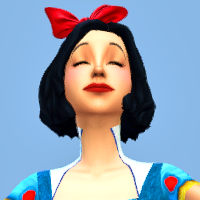 I totally want to use them in my (eventual) playthrough of my Disney sims (probably short-term Wishacy style). Thank you so much for posting about them. Are you planning on making more? 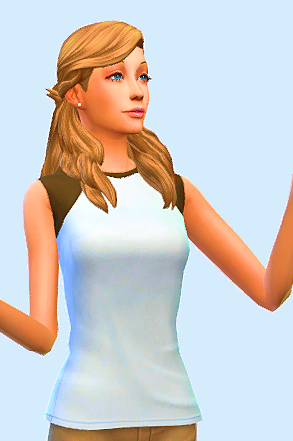 Aurora's modern everyday outfit is up now! Click here to see the a full body view and the CC list! Sorry about the long delay. 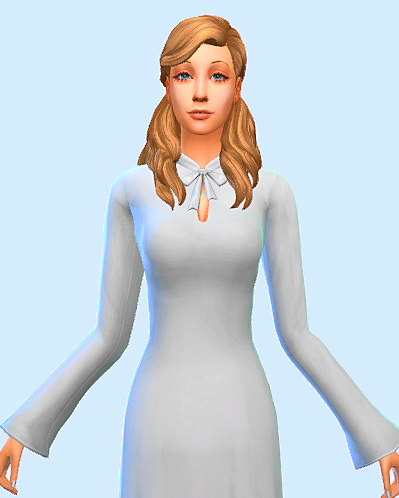 Aurora's classic formal outfit is up. Click here to see the a full body view and the CC list! 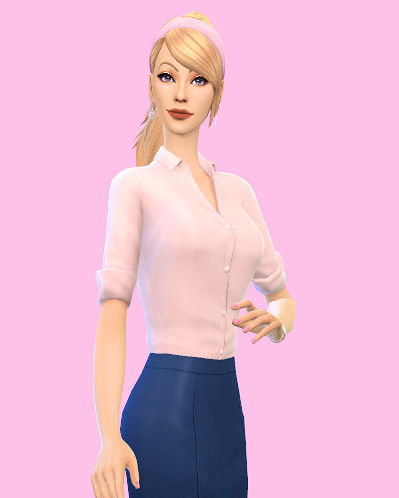 Aurora in her modern formal outfit. Click here to see the a full body view and the CC list! Two posts up (I've finally got a queue going but I forgot to post here ). Click here to see the a full body view and the CC list of her sportwear! And click here to see the a full body view and the CC list of her sleepwear! Aurora's party outfit is up. Click here to see the a full body view and the CC list! Aurora's swimwear is last up. Click here to see the a full body view and the CC list! This rounds out Aurora. To see all of her looks on the same page, click here! Otherwise, Ariel is the next princess in line. Look for The Little Mermaid to show her fins on the 15th! 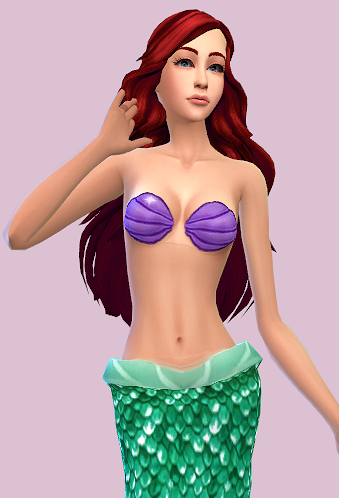 The 4th princess is Ariel from The Little Mermaid. Click here to see the a full body view and the CC list! Ariel in her more modern everyday look. Click here to see the a full body view and the CC list! 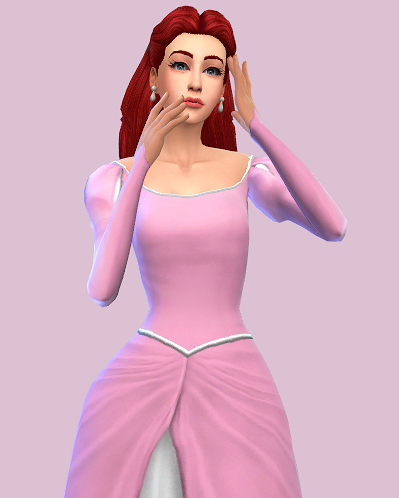 Ariel in her classic princess formal outfit. 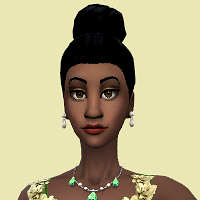 Click here to see the a full body view and the CC list!